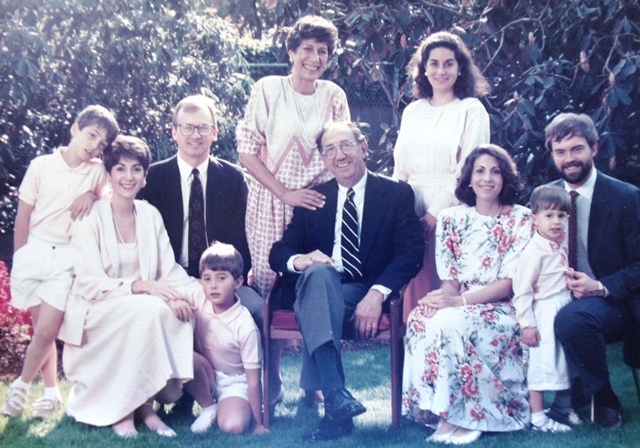 T he John Gregores and Nick Carras families lived near each other in Seattle, Washington, among a large number of Greek families. Two of their children, cousins Basil Gregores and Vicky Carras Kangles, share their memories of growing up in the Greek community. 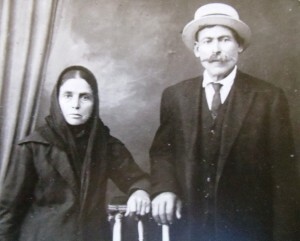 Basil’s and Vicky’s maternal grandparents, Maria and Vasili Farmasonis, lived near Kastri in the Peloponnese area of Greece. 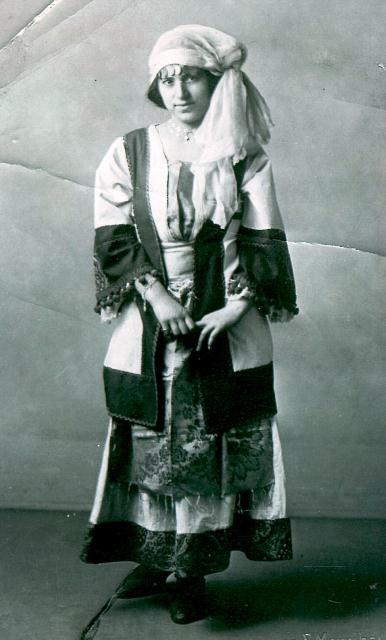 Maria’s family spent the winters in Agia Sofia and the summers in Karatoula. The Gregores family spent their winters in Eleohorion (Elachorion) and summers in Mesorahi. 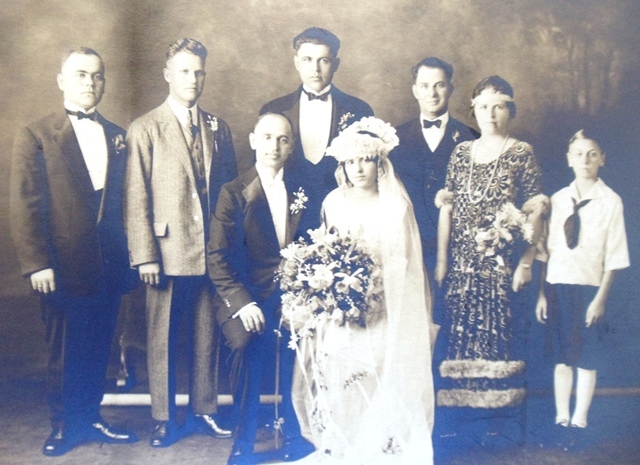 Basil’s and Vicky’s maternal uncles, Pete (Panagiotis) Farmasonis and Chris (Christo) Gregores, came to the United States in the early 1900s with a group of young patriotes (countrymen) led by Jim (Dimitri) Carkonen. They first went to northern New York to work in a quarry, then on the railroad to Chicago and came to Seattle presumably to participate in the gold rush but never reached the Klondike. 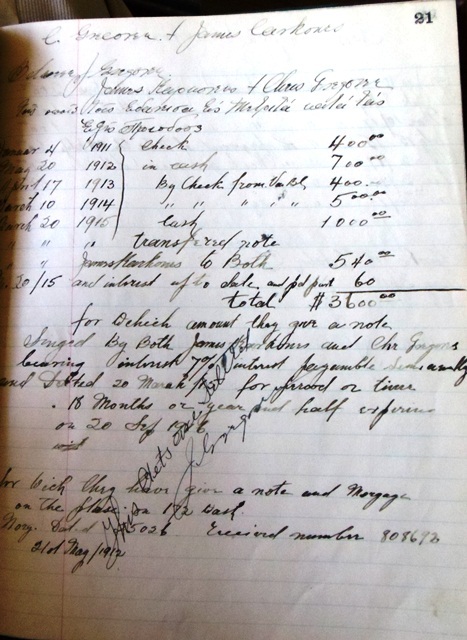 Once established in Seattle, Pete brought his brothers John and George to Seattle where they worked in the restaurant or food processing business. Pete also served an apprenticeship as a candy maker and worked as a confectioner in Seattle. Another broth er, Nick, remained in Greece. 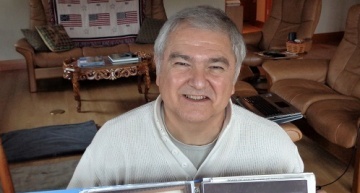 Pete went back to Greece and arranged for his sisters Efthalia and Christina to travel from Greece to the United States on a 33-day sailing to Ellis Island. 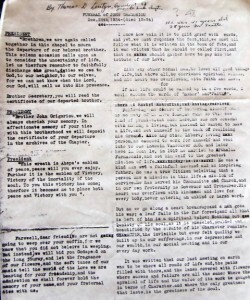 Their brother, John Farmasonis, went to New York to accompany the girls to Seattle. At age 11, Christina attended Cascade Elementary School while 18-year-old Efthalia kept house for her brothers. The girls were never able to return to see their parents. Basil’s father, John Gregory Gregores, immigrated through Canada and settled in Vancouver, British Columbia, in 1902. 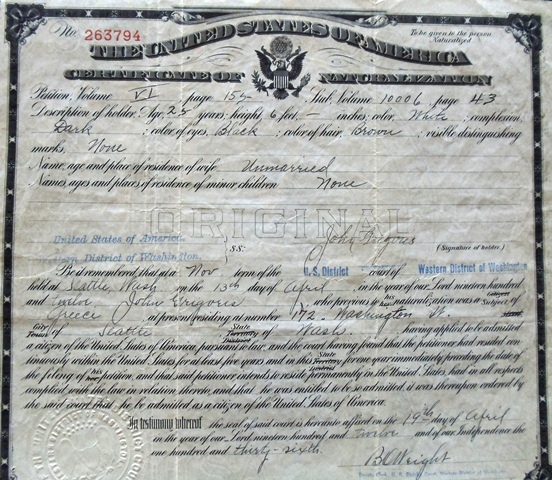 John worked on the railroad, then in the food business and obtained his U.S. citizenship in 1907. After John and Efthalia Farmasonis met, he would write her letters in beautiful Greek handwriting. 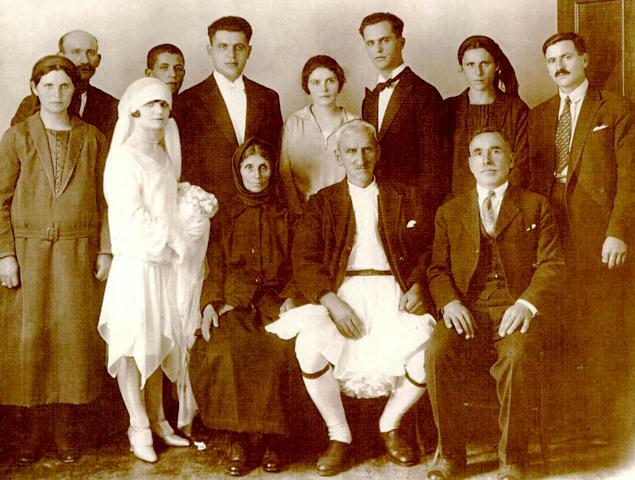 They were married in April of 1919 before St. Demetrios Greek Orthodox Church was built. The wedding was held in a community hall and no invitations were necessary as the entire Greek community was expected to attend. John operated the Apollo Café at Second and Washington in Seattle with Jim Angel and Harry Athans until he died in 1934. 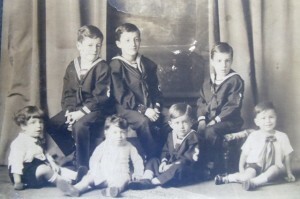 John and Efthalia had three sons, Chris (Christo) in 1920, Greg (Gregori) in 1921 and Basil (Vasilios) “Vasili” on October 14, 1925. 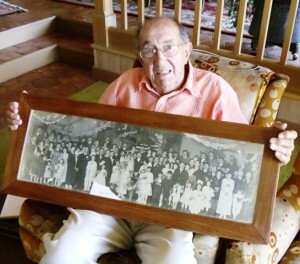 Basil attended B.F. Day Elementary, Hamilton Junior High and Lincoln High in Seattle, graduating in 1943. From there he pursued the medical profession graduating from the University of Washington Medical School in 1953. He then completed his internship at Queens Hospital in Jamaica, New York. On the way driving cross-country from Seattle to New York, he visited his brother Chris, a chemical engineer, in Virginia. There, he reluctantly attended a Greek Orthodox baptism with Chris and met Helen Macheras. Basil admits to having had his eye on other Greek girls in Seattle but Helen became his chosen bride. He felt that by marrying a Greek woman he would be better able to hold on to the Greek culture including the food, the language and the Church. They were married in August of 1954 in Lexington, Virginia. 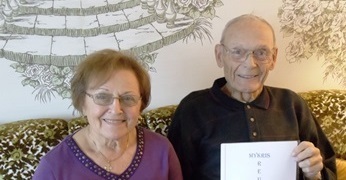 The couple spent time in Detroit, Michigan, for Basil’s residency in pediatrics and came to Seattle where he began his practice in 1956. His was a solo practice from which he retired in 1997 after 41 years. Basil and Helen shared a full life together until her passing in 2002. They have three daughters, Andrea now living in Spokane, Washington, Alexa in Newport News, Virginia, and Thalia who is teaching in North Africa. Andrea and Alexa have each given their father two grandsons. 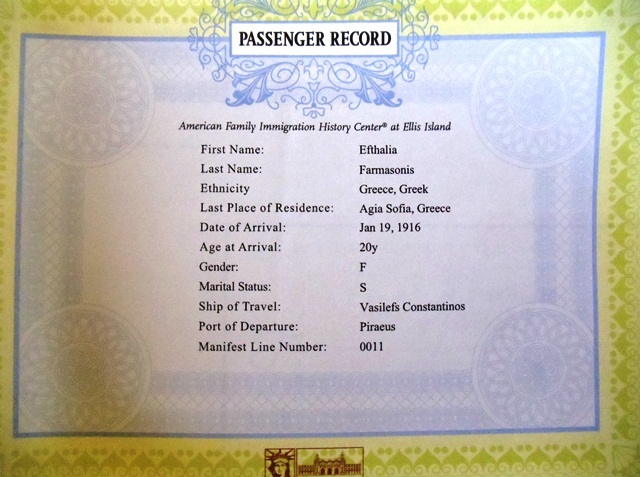 Vicky’s (Vasiliki) father, Nick (Nikolaos) Carras (Katsaniotis), was born in 1892 in Kaloskopi (formerly Koukouvista) just southwest of Lamia in central Greece. At the age of 14 he was sent to Lavrio south of Athens on the Atiki peninsula to work somewhat like an indentured servant to a grocer. He worked in the grocer’s store where he learned Italian and Arvanitika, a combination of Greek and Albanian. 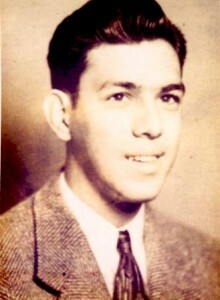 At the age of 19 he boarded a German ship bound for the United States with only Italian and Greek passengers. The Germans would give him instructions in Greek and he would translate for the Italians. 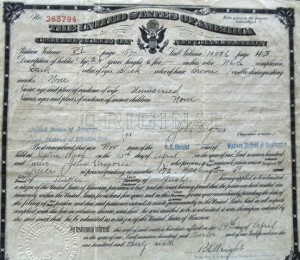 He is listed as an “associate passenger” in Ellis Island records. 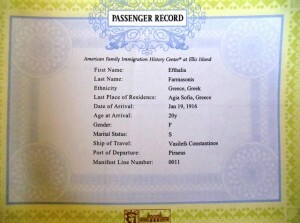 Nick’s older brother John was already in the States and had changed the family name, Katsaniotis, to Carras. 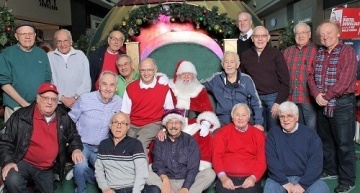 Initially the brothers worked in Chehalis, Washington, for Evans Collias, (see AHEPA’S UNSUNG HERO in Keeping Community) a coal miner who came from the same village in Greece. John had a share in one mine and Nick worked in the office. When the coal mine sold, John returned to Greece and Nick found work at Rhodes Department Store in Seattle. 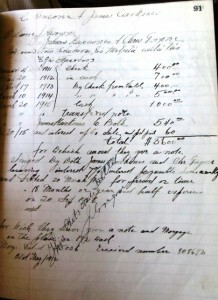 At the time he was encouraged to go to business school as he had worked in the office and was very good with numbers. Vicky’s mother (Basil’s aunt), Helen (Eleni) Farmasonis, was born in 1902. Helen’s brother Pete previously had one proxenia (arranged marriage) that was not a successful match and cost him a great deal of money to escape the agreement. Later, without an arrangement, Pete went to Tripoli, Greece, in 1920 to marry Mari Katsouli. 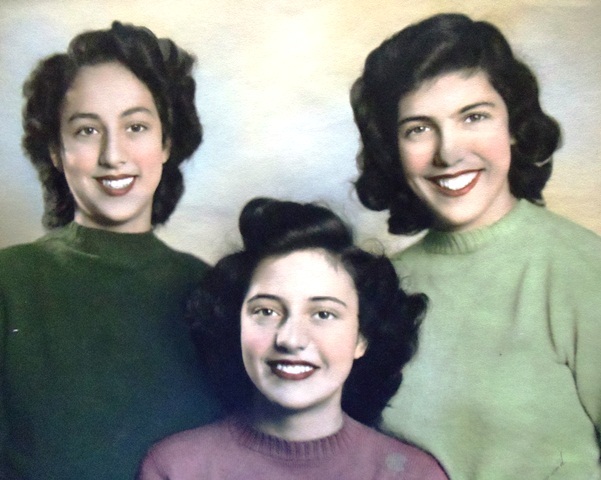 Helen, with her sisters Efthalia and Christina already in Seattle, said “I’m not going to stay by myself. I’m going to the States.” And so Pete arranged to have Helen return with him to Seattle. In Seattle Nick Carras had opened a grocery store on Seventh and Madison. He then brought his brother George from Greece to work with him. 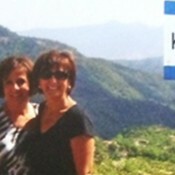 Nick had observed Helen singing in the St. Demetrios Church choir and found her to be very pretty. So, Nick, with permission from her brothers, married Helen in 1924. 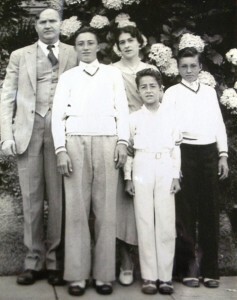 Their son Efthemio “Theme” was born in 1925. 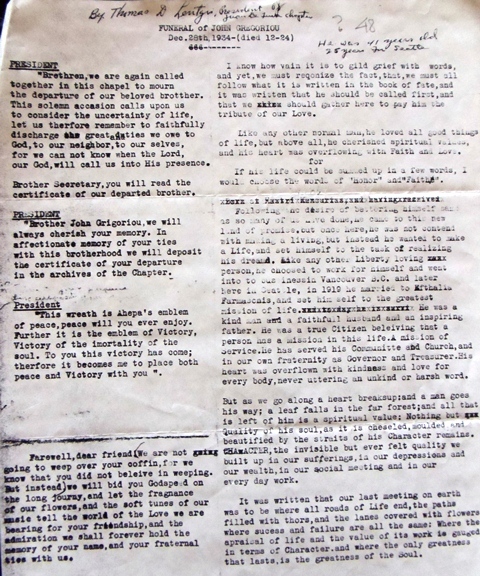 A second son, born in 1927, died in infancy. Three girls followed: Vicky (Vasiliki), born at home img006on November 22, 1928; Mary (Maria) in January of 1930; and Angie (Evangelia) in March of 1931. George Carras had brought his sister Maria to Seattle when he returned with his own bride, Nena Rovakis. Always with the dream of moving back to Greece both brothers’ families and their sister lived together to save money (five adults and six children) until 1931. 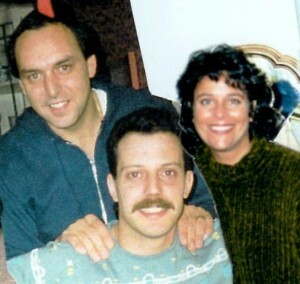 Maria married Steve Melonas and they moved to Stevenson, Washington, where Steve had a dairy with his brother. 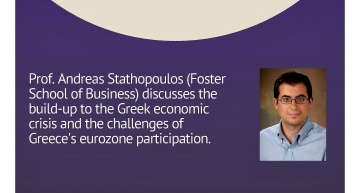 Nick went back to Greece in 1936 to research business opportunities. He realized that was just a dream and not possible for him and his family. 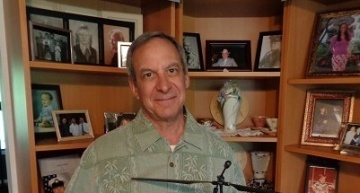 While Nick operated a grocery store at 50th and Phinney, he also served as psalti (chanter) at St. Demetrios for decades. After a long life of dedication to their church and Greek community, Nick died in 1982 at the age of 90 and Helen passed in 1989 at age 87. In 1937 the Carras family moved a short distance to the home which remained in family ownership until 2009. 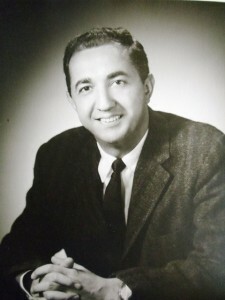 Vicky also attended B.F. Day Elementary, Hamilton Junior High and graduated from Lincoln High in 1946. 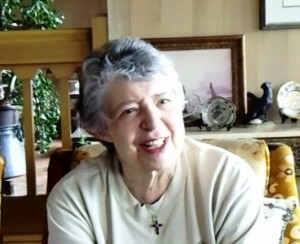 She attended the University of Washington and obtained her teaching degree in 1951. 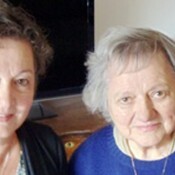 Her sisters Mary and Angie also graduated from the University. Vicky began her teaching career in Oakland, California. On a trip back to Seattle she met Jim Kangles (Kanglis) whose father came from the same village as her mother and occasionally visited from his home in Regina, Saskatchewan, Canada. Although Vicky was “partially” engaged to another, Jim was her choice. 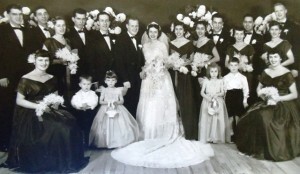 They married in 1952, had two children and shared 20 years together in Regina. 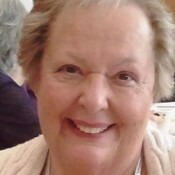 She volunteered as a Board member of the Norman MacKenzie Art Gallery, for the Regina Symphony Ladies Auxiliary, the Regina Housing Dan Carkonen, Nick Kangles and Leah Kangles Carkonen, circa 19Authority, the Salvation Army and for liberal candidates at elections. 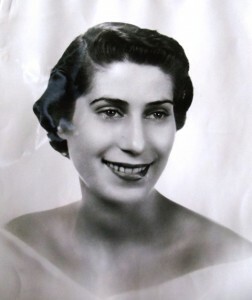 She helped form a Greek dance group through the Daughters of Penelope, the women’s auxiliary of AHEPA (American Hellenic Educational Progressive Association). Their daughter Leah was born in 1954, is married to Dan Carkonen and has two children, “Tyke” (Constantino) and Danika. Vicky now has two great grandchildren. Vicky’s son Nicholas had a varied career as an architect, card dealer in Las Vegas and set designer on the daytime soap opera “Days of Our Lives.” He was tragically robbed and murdered in Mexico in 1992 at the age of 36. Basil appreciates the process of tracing Greek lineage through the tradition that children are named after grandparents. However, this may be confusing as people with several children may also have several grandchildren (cousins) named after them. While growing up, Basil Gregores was known as “Little Basil” while an older cousin, Basil Farmasonis, was called “Big Basil.” There are also several Vickys in the extended family. Of course, there are always nicknames, one being “Aftos o Fainanis” from fai (to eat) and nani (slang for a nap or sleeping) to describe a relative who always takes a nap after a big meal. Names can become complicated. For example Basil’s father didn’t always spell his name the same way. He was variously known as Gregores, Gregoren, Gregoriou, Gregoris or Gregory. When Basil was born and the nurse was checking on the babies, Efthalia, speaking almost no English, pronounced her son’s name in a way that came out Benzell Gregory. His cousins still tease him with that name and on one occasion Basil had to prove his real name was Basil Gregores. The cousins’ neighborhood abutted Woodland Park in north Seattle where horta (leafy dandelion greens) grew profusely. A vegetable staple for Greek families, mothers would often be seen in the park with paring knives, harvesting the greens. There was the time when Basil’s mother and some friends were visiting their sons in Los Angeles, California, during World War II and having lunch together in their finest dresses on Wilshire Boulevard. After lunch, as they were walking down the street, they passed an empty lot full of horta. Of course they stopped and cut the greens to take with them. Greek school for Basil was in the upstairs balcony of the old St. Demetrios Church at Yale and Thomas in Seattle. His brother Greg and Nick Wells were misbehaving, not really caring whether they learned Greek. The priest, Fr. Phoutrides, opened the window to bring in the outside frigid air to quell the boys’ behavior. Then he couldn’t close the window and the boys laughed with glee. Later, Greek school was taught at different schools in the Gregores/Carras neighborhood by dascalo (teacher) Milonopoulos. Boys in the classes might change the clock, spit cinnamon hearts against the inside of a metal waste basket or pull other pranks. Unless Greek was spoken at home, going to Greek school once a week did not provide a full command of the language. 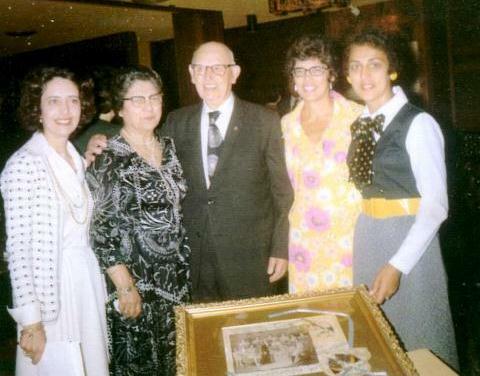 Basil and Vicky remember Mary Courounes, Vivian Therson, Peggy and Ted Dimitriou and their Carras cousins as fellow students in their Greek school classes. At the same time, there was an increasing need to speak English as the families assimilated into American culture. At one time, when Basil played the role of a “ne’er-do-well” husband in a Greek play, he was surprised by the uproarious laughter from the audience. While he had memorized the words and could pronounce them well he did not really understand their meaning. Of course his mother would say “Vasili, eine kalo” (Basil, that is good) giving full approval to her son’s accomplishments. 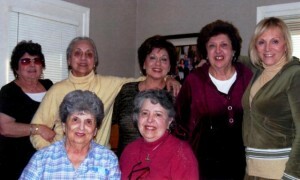 Both families were active in the Greek community. Efthalia was an advisor for the Maids of Athena (the young women’s AHEPA affiliate) for years. 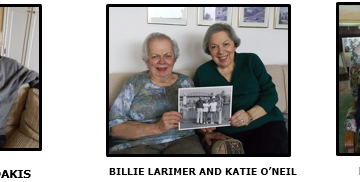 Vicky remembers the basketball tournaments where Maids and Sons of Pericles (the young men’s affiliate) teams would compete with those from other Greek communities. There were regular AHEPA conventions which included music, food and dancing, providing opportunities to enjoy time with friends. 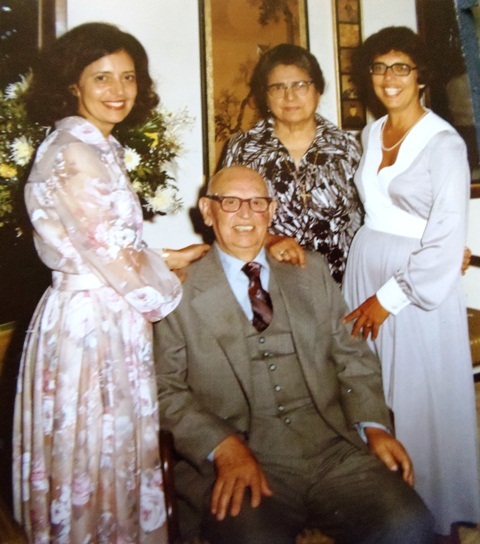 Vicky believes that AHEPA kept the Greek community together in Regina so when a priest was brought from Greece he found a ready-made community. AHEPA gave many Greeks a feeling of pride and accomplishment as they learned American ways of organization and civic involvement. Basil recalls one AHEPA meeting where George Pappas, a senior officer, speaking with great pride about accomplishments of Greek immigrants, stood up and said in his heavy Greek accent, “Boys, we are no longer doorty (dirty) Greeks,” meaning they were well respected in the community. Vicky remembers being called “the little Greek girl” in school and wondered why there was differentiation between ethnic groups. Both cousins received some kidding from other children but recall only one teacher in junior high who, for some reason, clearly did not like Greeks. Vicky was careful to speak only Greek to her children at home while it was all English for them elsewhere. She wasn’t sure how lasting that would be until she was traveling in Italy with her adult daughter Leah when they met a Greek cousin who spoke no English. Surprisingly, Leah was able to understand and answer in Greek. For Basil it wasn’t until he became older and especially after he visited Greece that he realized how much his Greek culture was a part of his life. 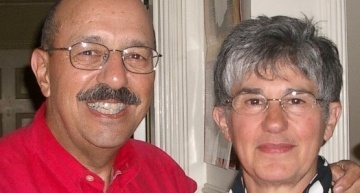 It is clear that the experiences in their young lives in Seattle have had a lasting impact for both Basil and Vicky. Gifts of Faith and CultureThe Hamilos sisters, Mary and Deena relish their connections with their homeland just as they value their faith and activities in the Greek community of Seattle, Washington. Not Lost in TranslationAs a bilingual legal secretary, Molly Conom, interpreted and translated for her boss, attorney Gust Kostakos, who spoke only English which his Greek-speaking clients did not know. 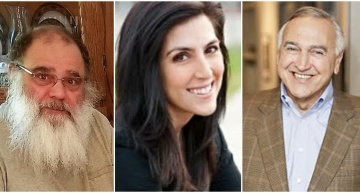 Where in the World is Quincy?Andreanna Raptis Zafiropoulos has always wanted to write the history of Greeks in Washington State. However, when she left Everett for Quincy, she had no idea that her desire would be realized.